The old fishing village Tai O (大澳) is partly located on the northwest coast of Lantau Island and partly on a small island about 20 meters offshore. Although it lost its status as one of the most important fishing port in Hong Kong, Tai O’s fishing culture, seafood, stilt houses, and boat tours still attract a lot of tourists and locals. In fact, tourism is the only bright spot in village dying economy. Thanks to good geographical and ecology position, this Tanka (boat people) village was important fishing and trading port between Hong Kong and Mainland China. The pirates also used good geographical position for smuggling drugs, tobacco, electronic devices, and even people. Records indicate that fishermen started inhabiting in the Tai O area since the Ming Dynasty (1368–1644). Fishing contributed the development of the salt industry. Until the 1950s, village economy was at its peak, but soon after that salt, fishing and agriculture industries collapsed. Tai O once had over 30,000 inhabitants, but now merely 2,000. Despite the damage caused by the fire in 2000, Tai O still has maintained unique architecture and great charm. Whether you wander around the narrow streets, explore shops or float in small boats along the river, the authentic village atmosphere will captivate you. 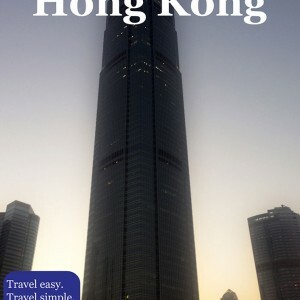 Don’t rush, take your time and peek into the Hong Kong traditional way of living. 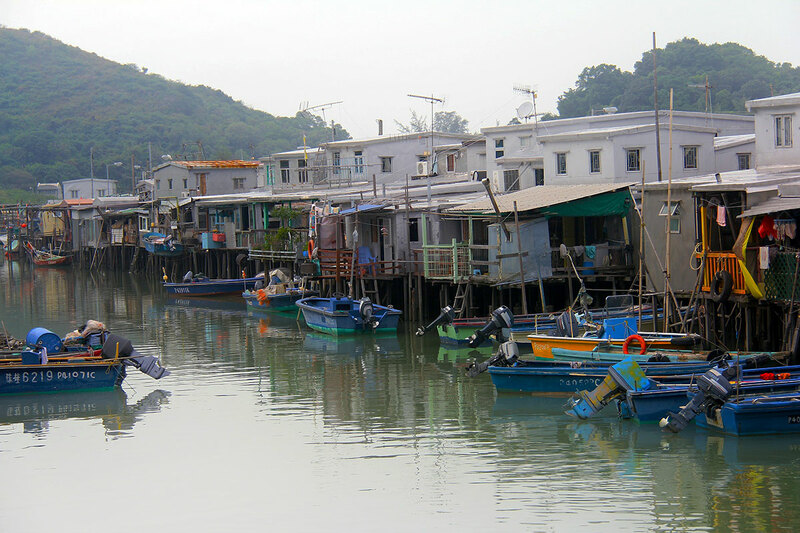 People in Tai O live in huts built on stilts along shores, making it one of the most memorable attractions. The stilt houses are also known as “Pang Uk” (shed house) and are built in Tai O since the 19th century. Don’t miss to take a boat tour for the Chinese white dolphins, also known as Pink Dolphins. Sightings of these beautiful creatures are quite rare, but rides are cheap and scenic. Even if you don’t see dolphins, sailing along the narrow water canals between stilt huts, in a small fisherman boat, is worth a cost. A lot of the tour boats are parked near the rope-drawn ferry bridge. In the old district of Tai O, in the area around Wing On Street, you can see old wooden buildings, ancient brick walls or buy souvenirs. There are a plenty of food stalls with seafood specialties, such as fresh and salted dried fish, shrimps, shrimp paste, egg yolks or laogond bin. Tai O Rural Committee Historic and Cultural Showroom exhibits historical relics such as fishing tools, pottery, replicas of old wooden structures. Local residents donate collection. Former Tai O Police Station, Yeung Hau Temple, Kwan Tai Temple, Tin Hau Temple are historical buildings you can visit too.